3.1 What Is The OBD2 Port And What Is It Used For? 3.3 Does My Car Have OBD-II? 3.4 How do we measure OBD-II output? 3.5 What good does it do to measure OBD-II output? Did you ever start the car and suddenly notice the “Check Engine Light” pop out? If this happened to you, the first thing you probably thought of was the money you had to spend on the mechanic. That should not be a problem any longer. 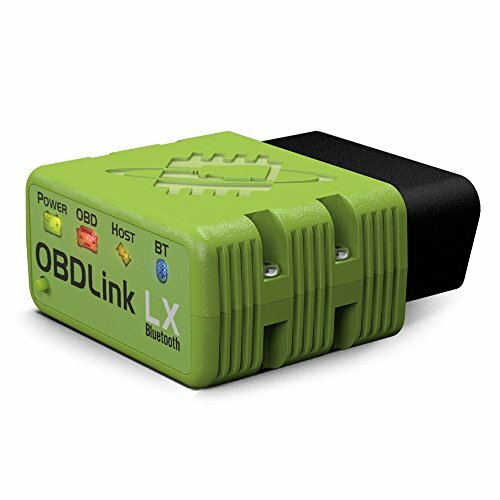 The best OBD2 Bluetooth adapters are able to monitor and interpret all the codes that let the light turning on. Once you purchase a Bluetooth adapter, it will save you both time and money. Our detailed OBDII scan tool reviews and the buying guide will help you figure out the things you should consider when buying one! For : All Protocols Supported, Works with TORQUE Lite for Android Devices! This product will work on any car model sold in the USA from 1996 up until this day. BAFX’s scan tool is very easy to install, but it is only compatible with Android devices and Windows operated PCs. The app connects to your device using third-party apps, not a specific one. The cost of the apps can range from 0$ to 60$, depending on what you’re looking for. The scan tool is delivered with a demo version of the PC software. If you own a Mac or you have an IOS device, you should look for another scan tool, because this one is not compatible with them at the moment. Once you have installed the tool and downloaded the appropriate app, you’ll be able to read and clear all the diagnostic trouble codes that cause the check engine light to start. You’ll also be able to get live information from your sensors directly to your device. This means you’ll be able to check your Balance Rates, Speed, RPM, O2 Readings, DPF Temperature and much more data directly from your device, without going to a specialist. You will even be able to test your emission ratings. This product comes with a 2-year warranty against defects. 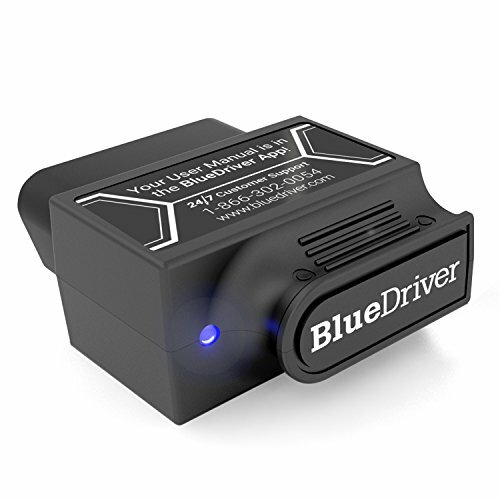 BlueDriver’s Bluetooth OBDII was developed by professional engineers and it’s used by mechanics all over North America. The scan tool is officially licensed and certified to work on both Android and Apple devices. The BlueDriver App and Sensor are designed to work exclusively with each other for improved quality and accuracy. The scan tool is very easy to use. It acts like a code reader but has all the capabilities of a professional scan tool, alongside the benefits of using your smartphone or tablet. You’ll be able to receive free app updates, save all your data, port your data from one device to another, and have an interactive graphic of the live data. The Repair Reports the scan tool utilizes were drawn from a database with over 4.3 million vehicle-specific fixed that was verified and certified by professional auto mechanics. The scan tool is able to read and clear all CEL codes, those that are confirmed, pending or permanent ones for all car models. It is able to read and clear enhanced codes, such as the ABS, Airbag, or Transmission for every model belonging to Ford, Toyota, GM, and Chrysler. It will be able to make repair reports using the code definition, reported fixes and possible causes specific for every vehicle. PLX’s Bluetooth devices are considered professional-grade diagnostic scan tools. They are able to work on different platforms, such as IOS, Android, and Windows Mobile. They are advertised as being four times faster and able to consume less power than all their competition. This scan tool is compatible with all cars and trucks built and sold in the US since the 1st of January 1996, which means pretty much every car still running right now. This scan tool does not have a specific app. It utilizes some of the most popular report apps instead, such as Torque, OBD Car Doctor, DashCommand, OBD Auto Doctor, or Harry’s Lap Timer. The Kiwi 3 is a plug and play tool. 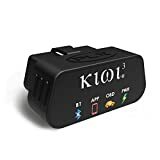 This means that all you have to do is to connect it to your onboard diagnostic port, either a CAN or an OBDII, and it will be able to retrieve the information from your car’s CPU and wirelessly transmit it to your smartphone, tablet, or PC. The tool is capable of monitoring MPG and the engine parameters, reading and resetting the engine trouble codes, and monitoring your engine performance, fuel efficiency and driving behavior in real time, along with other important data as well. ScanTool’s Bluetooth OBD-II scan tool is able to transform your phone, tablet, or PC in a professional automotive scan tool. Unfortunately, this scan tool is not compatible at the moment with Apple’s IOS devices, so if you own an Apple or a Mac, you should look for another scan tool. This scan tool comes with a free Android app and a Windows software you can download. It is also compatible with third-party apps, such as Torque and DashCommand. We recommend you use the specific app for more accuracy. The scan tool is compatible with all car models sold in the US since 1996, including light trucks. Keep in mind it is not compatible with hybrid and electric vehicles. You shouldn’t have any trouble using this tool. It’s really easy and straightforward to install. Find the OBD-II port of your car, plug the tool in, wait for it to complete the installation ( average installation time is 3 minutes), connect it to your device and that’s it. You just transformed your device into a diagnostic scan tool. You can use it to check diagnostic codes all by yourself, so you can make informed decisions on which repair is really necessary. Ozzy Gear’s scan tool is compatible with all car models sold in the USA since 1996 until now. This list includes light trucks, but it does not include hybrid or electric cars. The scan tool is compatible with all Android devices and Windows operated PCs. It is not compatible with Apple’s IOS, so if you have an Apple smartphone or a Mac, this is not the tool for you. The device connects quickly to your Android or Windows device through a third party app you can download for free or for just a few dollars from the Google Play Store. Torque and DashCommand are the most popular apps available on the market, but the device can work with other ones as well. The scan tool is delivered with an instructions manual that gives you easy to understand directions on how to set it up. You won’t need any batteries or cables to do so. Once you plug the device into your car, you’ll be able to turn it on or off whenever you like, so you can leave it plugged all the time. This model is able to read and interpret both generic and specific diagnostic trouble codes. Ozzy Gear offers a lifetime warranty for their products. The scan tool developed by iAutomobil is compatible with all cars and light truck models manufactured after 1996, but it is not compatible with electric or hybrid vehicles. The device is easy to install and it is compatible with all Android and Windows devices. You’ll be able to transform your smartphone, tablet, or PC in a sophisticated diagnostic tool by downloading and installing one of the free or paid apps available. 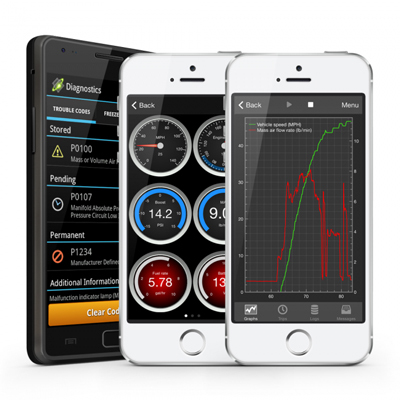 Some of the most popular are Torque Lite, Torque PRO, OBD Car Doctor, or DashCommand. The installation is very easy and user-friendly. It is usually over in a few seconds, but sometimes this process might take up to three minutes. With the help of the ELM327 Bluetooth device, you will be able to read and interpret diagnostic trouble codes, reset your “Check Engine Light”, check your MPG meter and your engine running parameters, and more. Save money by monitoring the O2 sensor readings, Revs, Throttle, EOT, and Boost all by yourself, without going to the mechanic. The device even allows you to check the emissions levels. If you have an Apple smartphone or a Mac, this is not the scan tool for you. At the moment, Apple’s IOS operating system is not compatible with this device. If you’re the curious type of person and you always want to learn about how things work, you definitely need a scanning tool. The OBD2 Bluetooth scan devices will allow you to see what’s going on with your car as a whole. You’ll be able to check your engine running parameters, your sensor readings, and many other functions, and look at them as a whole by checking the live graphics the compatible app will make for you. You might think that purchasing a scan tool is expensive and it’s not worth the price, but you will be able to clear your “Check Engine Light” with it. Most of the times the light turns on because your headlights need changing or your filter is not functioning properly any longer. 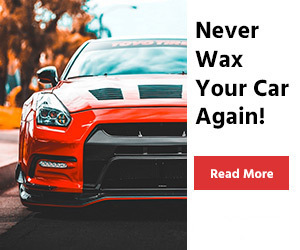 This will actually save you money in the long run because you won’t need to go to a mechanic to tell you these things. There are online tutorials on changing basic car components you can watch so you’ll be able to save even more if you make the change yourself. Ultimately, the scan tool is a great device for anyone who enjoys getting the most out of their vehicle and boosting its performance. If you want to buy an OBD-II Bluetooth device you should know what you shook look after in one. Read the following buying guide to find out all there is to know about scanning tools and read our OBD2 Bluetooth reviews to find the right fit for you. You can use the OBD-II for extra performance. 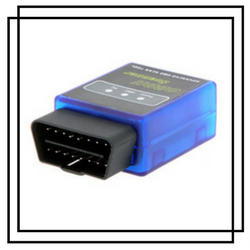 Even though most OBD-II systems are sealed and won’t allow any kind of chip replacement, they provide valuable real-time data very useful for tuners. Some power loaders will actually be able to reprogram the parameters of the OBD-II system to increase the performance options. The only thing you should keep in mind is that your car must be able to pass the emission standards after the tuning. Not only does the scan tool be compatible with your car model, but it also has to be compatible with your device, as well. All the scanning tools will work with most car models manufactured after 1996, so chances are your vehicle will be among them. But not all devices are compatible with all the operating systems. 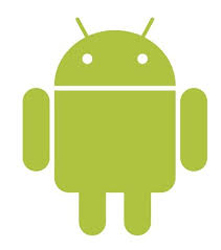 Most scanning devices are compatible with the Android Operating System. Some of them are developed with specific Android apps you have to use to get the right reading, while others can be used with third-party apps. If you get a model that has a specific app, you’ll be able to use it for free, since it’s price is included in the cost of the device. If it uses a third party app, you will be able to download one from Google Play Store. The price for these apps varies greatly, so you’ll be able to download some for free, while others might cost over 50$. This price is usually set by the performance. Some apps will be able to show you only a part of the car functions, while others will show all of them. The best Android-based apps will be able to make easy to follow graphics on all the functions. 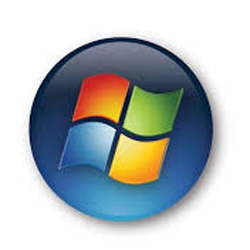 Not many manufacturers decide to make their devices compatible with Windows-based devices. A small fraction of these manufacturers will make the tool work on the mobile version of Windows, though, so you need to check before buying one if you intend to use it with a mobile device. The software needed to make the tool compatible with your device can be downloaded for free or for a small fee. This might come as a surprise, but IOS, the operating system used by Apple on all their devices, including their laptops is the least compatible with scanning tools. 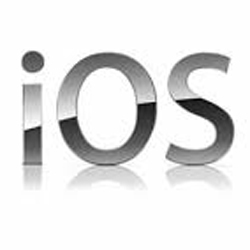 The reason behind it is the fact that it’s more difficult and more expensive to develop IOS compatible devices and apps. Even though this is the case, you can still find enough models which will be compatible with your devices. The apps you need to run can be found on iTunes, usually free or for a small fee. The ObD2 scan tools market is a very large one. Similar to the other markets, you will find all sorts of models that come at different prices. They might seem to do the same thing, but that’s not necessarily true. Just like any other product, you might think that the more expensive products will be able to perform better than the cheaper ones, but that might not necessarily be true. Cheap models will most likely be able to connect to a singular operating system, so that might be a problem if you intend to change your reading device in the future. After connecting and installing them you will be able to use them through third-party apps. They will be able to read and clear all the basic codes, and some of them might even be able to read the manufacturer specific codes. One of the problems you might encounter with cheap models is that they can consume a lot of power, so leaving them plugged might damage your battery. Most medium-priced models will most likely connect to two operating systems. After connecting and installing them, you will be able to control them through a third party app which might cost you, but some of them will be delivered alongside a specific app. They will be able to read basic and specific codes, and some of them might even read and clear enhanced codes, such as ABS, Transmission, and Airbags. You can leave most of them connected at all times, they will not damage your battery. Expensive models are compatible with all the operating systems. This might not be an advantage for most people since the regular user doesn’t usually have devices with more than two different operating systems. After connecting and installing them you will be able to control them through a specific app, which will provide increased an increased accuracy for the reading. Even though the specific apps are really accurate, some third-party apps are superior. They allow you to check more functions and develop easy to read graphics. Most models are able to read and clear enhanced codes and provide valuable data. You can leave all of them plugged in and they won’t damage your battery. Even though the scan tool is the working device, the app is responsible for the interpretation of the data. Without the app, you couldn’t see the results. Many manufacturers don’t bother with developing a specific app for their device, but some do. Which is the better one? Specific Apps are specially designed to work with a single tool. This makes the app’s accuracy extremely high. It will generally pick up data third-party apps will most likely miss or exclude from their reports. But a developer that specializes in scanning tools production might not be the best company to develop software as well. That’s why some of the specific apps are accurate but don’t have as many features as the third party ones. Third-party apps are developed to be compatible with many scan tools. They will install rather quickly and make pretty accurate readings. 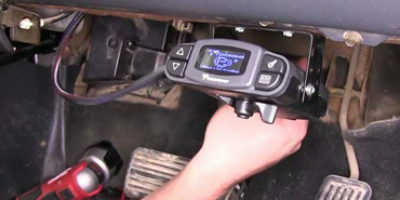 The readings they make on the same vehicle will be different if they are used with different devices, but still accurate enough for you to find out the car’s problems. Choosing which app to use is always difficult, even though there are some renowned companies on the market. You should choose the right app for your device, no matter the cost. Free Apps will allow you to interpret the basic readings. Some will even allow you to read and clear your “Check Engine” light. But why would you decide to use this kind of app if you purchased a device that’s able to read and clear enhanced codes? It will only stop it from doing its job properly. There are many types of paid apps. Some cost 5$, while others cost over 50$. The price difference is determined by their features. The 5$ app might allow your device to read and clear basic and manufacturer specific codes, but the 50$ one will definitely allow you to read all the enhanced codes, as well. You should check out the apps that are able to do the same things as your device. There’s no point in spending extra money on features you won’t use, but there’s no point in saving some money from the app, but not allowing your device to function properly, either. If you have the possibility of purchasing a model with warranty over one without at a similar price, don’t waste your time thinking too much about it, just get the one that comes with one. We’ll explain why this is important. 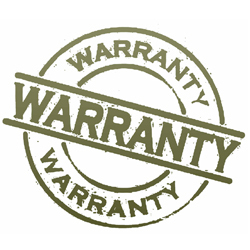 Many producers offer a limited warranty for their product. The duration of it might be different from one producer to another, but it’s better to have one. These Bluetooth scanners are usually very durable, so you’ll be able to use them for a long time. If, however, a model is defective, you should be able to change it. If you have the possibility to buy a model that comes with a lifetime warranty, do it. Keep in mind that these devices are diagnostic tools you should be able to use for a long time. 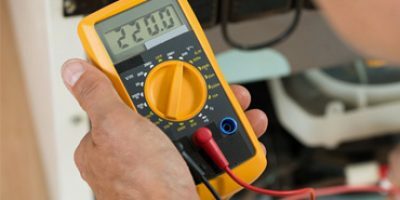 If you have a garage or a used car dealership, these devices will prove invaluable, so you should have the possibility to get them repaired at all times. What Is The OBD2 Port And What Is It Used For? OBD-II is the second set of standards and practices of the On-Board Diagnostic System. This system was first developed in the USA to make sure all the cars passed the emission standards and requirements for the maintenance of cars for extended periods of time. To make sure every manufacturer followed these practices, the law demanded that sensors should measure engine performance and the pollution level. At first, every manufacturer designed their own systems and signals, but soon there was a standard they needed to follow. OBD-II is the latest set of standards developed and implemented in 1996. This set of standards is used to make sure the car manufacturers build vehicles which meet the increasing emission standards. OBD-II serves as a universal diagnosis and inspection method to make sure the vehicle is performing according to those standards. Does My Car Have OBD-II? If your car is built after the 1st of January 1996, it should have the OBD-II standard system. Manufacturers first started to incorporate the system since 1994, but some of the early models were not 100% compliant. There are several protocols in use at the moment but the scan tools are able to read all of them. How do we measure OBD-II output? All OBD-II cars have an easily accessible connector. You should be able to access it from the driver’s seat. Look under the dash or near the ashtray. 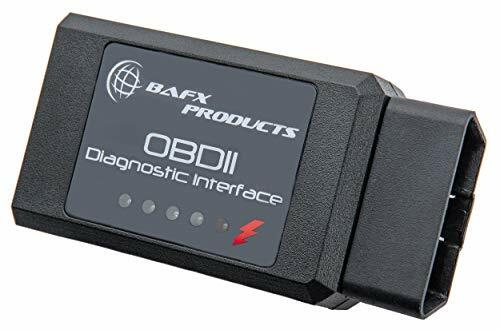 What good does it do to measure OBD-II output? If the “Check Engine Light” is turned on, or the car has some driveability problems, the OBD-II signals should be able to provide enough data to pinpoint the component that isn’t working properly, allowing you to save both time and money. Scanning these signals can offer valuable information when you intend to purchase a used car. Not so long ago, buying an OBD-II scanning device was not cheap. The high prices restricted home mechanics and small car shops from working with one, so the shops that could afford one charged a fee for reading the signals. With the new, more economical scanning devices are easy for anyone to access and interpret OBD-II signals, so you can make your own repairs. $ 2.7 x 1.2 x 0.9 inches 0.3 ounces All Protocols Supported, Works with TORQUE Lite for Android Devices! Owning and using an OBD-II will save you both time and money. 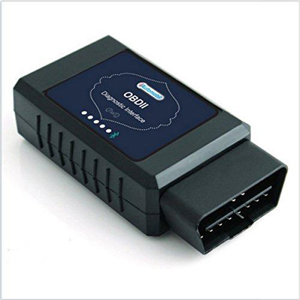 The best OBD2 Bluetooth adapters will be able to monitor all the codes your vehicle CPU emits. This way, every time you have a signal pop up on your board, you no longer have to go to the mechanic to interpret it. You just connect your scan tool to the port, turn on your mobile app, and find out what’s wrong with your car. When you find out what the problem is, but don’t know how to fix it, log on to Youtube to watch one of the multiple tutorials that might help you. 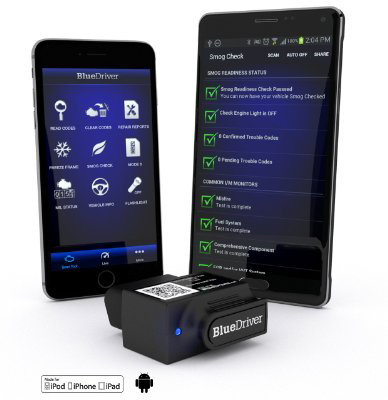 We hope you find this OBD2 Bluetooth adapter reviews useful!